I was watching The Voice last night and the term """ kept being thrown around". I thought I would pull an old blog post from my last site to give a great example of what that means. I originally wrote it 3-9-2011, but it is perfectly relevant today. I am inspired. Jacob Lusk from American Idol sings soooo good. What is so great about him? You may be listening and know how his voice makes you feel, but technically, why is he so good? Simply put, he sings in the perfect "pocket". As a voice teacher, I can tell you that what he is doing is anchoring his voice to the bottom of his range (which is fabulously low) and stretching up from there. He never loses that anchor, and that is why his voice is so thrilling. You do not lose the bottom of his sounds, even in a high note. And as he goes higher, rather than reaching or lifting up in his larynx and body, he just stays grounded and opens up more doors of resonance and sound. Jacob Lusk knows how to access his sound using his body and he does not get in the way of it. It is like we are born with trap doors in front of all our resonating areas. When we sing we are constantly doing vocalizes and visualizations to unlock and remove these doors to free our sound. You cannot push through these doors or you will encounter muscular tension. The resonators are in different places, your chest- the back of your head and neck, the front of you face near your eyes, and the top of your head to name a few. Jacob Lusk has the ability to hold on to an open chest resonation as he opens more and more doors of resonance as the pitch rises. As a human being who's just listening to him sing, I hear that he opens his mouth, gets out of the way and just lets the music flow through him. Some may say, "divinely". He is in "the raw", which is so exciting to listen to and travel the vocal journey with. His voice rides a wave of free sound. Here's the link to hear his performance of "A House is Not a Home"
I do not own the video content. 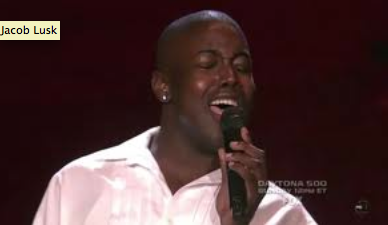 All rights to American Idol 10, Fox Broadcasting Company and Fremantle International* American Idol 2011: Top 12 Guys Perform Jacob Lusk sang "A House Is Not A Home" by Luther Vandross. Just lovely. You sing it Jacob Lusk!